People in the army need to make sure that they’re in top shape. They need to make sure that their soldiers are physically fit to handle any type of situation. They also need to make certain that they have the mental capacity to handle certain situations. However, what most people don’t know is that the military also has to check up on the dental health of their recruits. You wouldn’t want any of your men to be caught in battle, only to have them get shot down because of a toothache now, would you? That’s why these military organizations do whatever they can to give their soldiers the best dental healthcare they can afford. 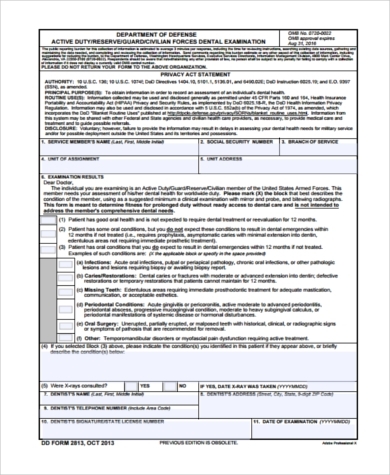 Military superiors need to make sure that their subordinates have the proper forms before they can receive any form of dental treatment. 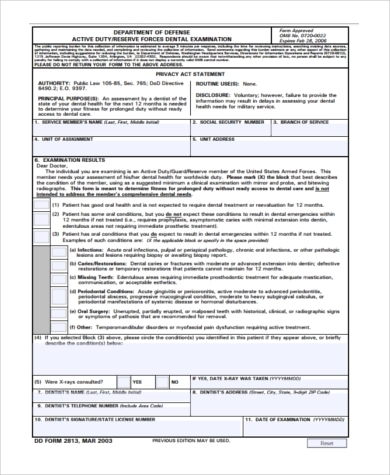 This is why there are Army Dental and Medical Forms that can help them out with that. 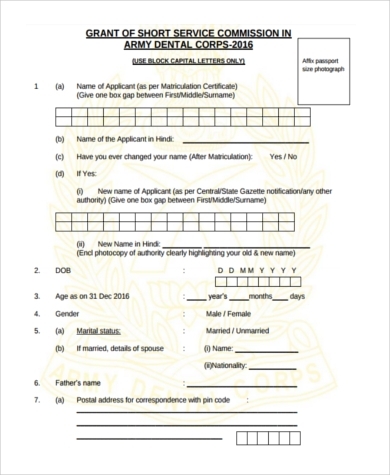 Army Dental Exam Forms are the kind of forms that are utilized by the army to see whether or not any of their recruits have any sort of problem with their dental care and if they need immediate treatment. 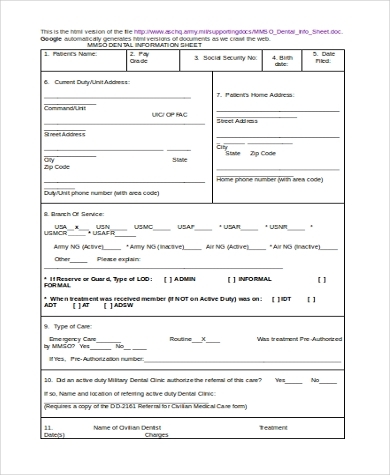 Army Dental Treatment Forms are forms that are specifically used for when certain soldiers, or anyone associated with the establishment, gets the proper treatment for any kind of dental problem. 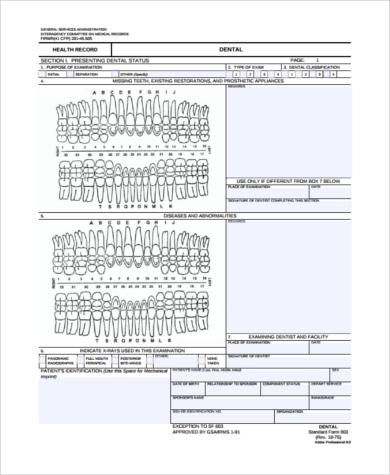 Army Dental Classification Forms are mainly used by dental professionals in determining the classification of the dental problem. These are especially useful if a certain military employee or soldier is undergoing serious pain that’s related to their teeth and gums. As mentioned earlier, the army needs to make sure that their soldiers are in top quality condition. This is why they make sure they’re physically, mentally, and medically fit for duty. And they have to make sure that they don’t have any teeth problems that could obstruct their progress. 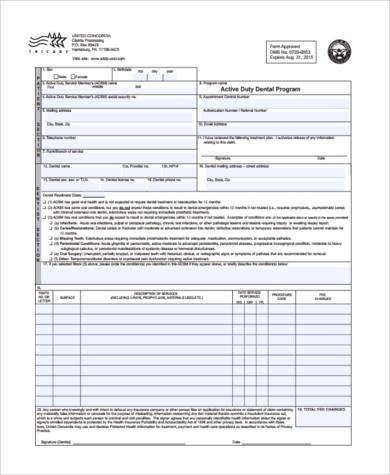 Some military organizations can’t afford full dental treatments, which is why they use Sample Donation Request Forms to make sure that they get what they need to fund for them. 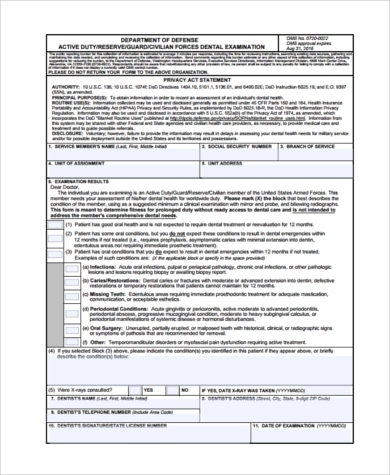 These forms can help out in seeing which soldier has any dental problems, and which doesn’t. Then the military can decide if they need a good fixing, or if the problem is only minor.